New Jersey based software developer rolls out a comprehensive eCommerce app builder with a set of innovative features and tools. eGrove Systems, a leading IT solutions provider based in New Jersey announces the launch of its new product, Elite m-Commerce. Through this platform, online store owners can create their own m-Commerce apps to accommodate the growing number of smart phone shoppers. According to the company’s spokesperson, Padma, the app will enable e-Commerce stores to make the necessary transition from web based transactions to mobile based transactions. As most internet users rely on smart phones, the shift is vital to ensure a steady flow of sales through their store, she said. Online stores will be able to integrate their Magento store information into this platform. Stores can customize their App as per their brand image to keep pace with changing business environment. Within a short time, e-commerce stores will receive their m-Commerce apps so that they can publish it to Apple and / or Android store. Custom Theme Option – The app allows users to set their logos and banners as well as choose a background color that matches their brand image. Convenient Sync Feature – The product category and catalog from users’ Magento stores can be synced automatically through the mobile app created via this platform. Support for Large Inventories – Elite m-Commerce fast loading features makes it a perfect tool even for stores with large volumes of products. Push Notifications – Elite m-commerce helps you to send various types of push notifications such as Wish list notifications, Abandoned cart notifications, Order notifications, and Offer notifications for the customers. Multiple Payment Options – Though the platform integrates PayPal as a payment gateway, online stores can specify additional payment gateway to serve a wider client base. Reward Point System – Dedicated to ensuring users profitability, Elite m-Commerce offers a Reward Points feature that boosts both customer loyalty and sales. Google Analytics Integration – Delivered apps will include Google analytics e-commerce tracking to get e-commerce analytics data including user behavior & conversions of their products or campaigns. Currently, eGrove Systems is in the process of integrating OpenCart, PrestaShop and Bigcommerce to reach out to large number of portal owners who use open source platforms for their e-commerce needs. To learn more about Elite m-Commerce and its features, please visit www.elitemcommerce.com. 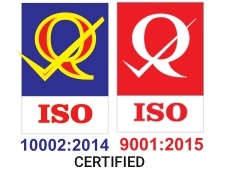 Established in 2007, eGrove Systems is an ISO 9001:2008 certified Software Development Company which specializes in creative and functionally-rich enterprise software solutions. The New Jersey-based company boasts of a highly skilled team dedicated to providing the best user-friendly solutions. Currently one of the leading global IT providers, eGrove Systems has made its mark in the m-Commerce field through Elite m-Commerce, a secure platform for building mobile apps for Magento stores. For more information, visit www.elitemcommerce.com.